If you are thinking of installing solar panels on your home to save on your power bill, the time may be right as South Carolina solar experts work to break the electrical monopoly and let the sun shine in. Legislation moving through the South Carolina Legislature aims to “streamline” the solar industry by removing roadblocks utilities have put up to hinder production of large scale solar power. “The utilities have a robust red tape system for these large solar farms to connect to the grid,” said Tommy Gardiner, communications director for Conservation Voters of South Carolina. That system makes it difficult for solar operations to efficiently put their energy on the public grid. “This bill streamlines that process and it helps guarantee that those large solar rays can be put on the grid faster,” Gardiner said. Since Gov. Nikki Haley opened up the solar market in S.C. in 2014, billions in investments and thousands of jobs have been created on the utility level of solar energy. But a utility’s business model is not conducive to renewable, long-term solar energy production, because its energy is produced by a contractor, not the utilities themselves. Matt Moore, a Republican strategist and chair of the Palmetto Conservative Solar Coalition, said that utility-scale solar is more than an environmental plus. “Most people want a choice when it comes to power. Traditionally, it’s been tied to utilities and we see one rate, one bill, there are no questions asked,” Moore said. 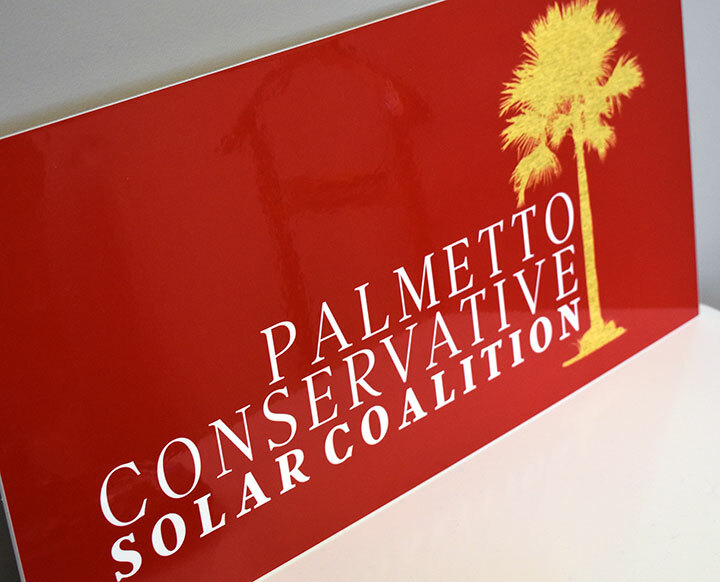 The Palmetto Conservative Solar Coalition is a bipartisan group of homeowners and business owners from across the state. The conservative push for solar isn’t unique to South Carolina because it’s good business. Steffanie Dohn is the Director of government relations for Southern Current, a solar developer based in Charleston. She also serves on the board of the S.C. Solar Business Council. Dohn said solar developers are prepared to invest upwards of $5 billion over the next three years in South Carolina. Most of that money would go to building large solar farms in rural, sunny communities throughout the state. The investments would produce property tax revenue for the mostly low-income, rural communities where the farms would be located. Another plus? The projects don’t put a strain on public resources. “Solar panels don’t go to school,” she said. Apart from the economic impact, the solar industry would offer “energy freedom,” according to Alan Hancock, energy and climate advocacy director for the Coastal Conservation League. “Competition in energy is important, especially in the wake of V.C. Summer,” Hancock said. The failed Fairfield County nuclear reactor project cost customers of state-owned utility company Santee Cooper and Cayce-based SCANA, parent company of SCE&G, $9 billion, sinking Santee Cooper into bankruptcy and forcing the sale of SCE&G. On March 20, S.C. Senate President Harvey Peeler called for Santee Cooper to be sold off because of the incompetency of its leaders. Gardiner, who worked with Hancock and others to make the compromise version of the bill, said the utilities grip on the S.C. energy market will loosen. “At its core, this bill is about market competition… and allowing everybody to have access to the same kinds of things so utilities don’t have the monopoly-like control that they’ve had for generations,” he said. Although most of the frustrations with solar insiders stem from utilities, SCE&G has made considerable headway in solar. The utility has contracts to buy energy from two Dominion Energy-owned solar utility-scale projects. Dominion purchased SCE&G last year after the VC Summer debacle. “This helps the company meet our goal to create the best energy options for all of our customers while working in the best interest of South Carolina,” the statement concluded. The company worked with legislators and environmental groups on the energy bill, which was passed by the House unanimously in February. Moore is hoping the Senate will pass the bill in the next few weeks. Gov. Henry McMaster is expected to sign the legislation. “People can find true energy freedom. And that’s what we’re fighting for, this is an issue of freedom, it’s an issue of lower power bills and giving people a choice,” Moore said.